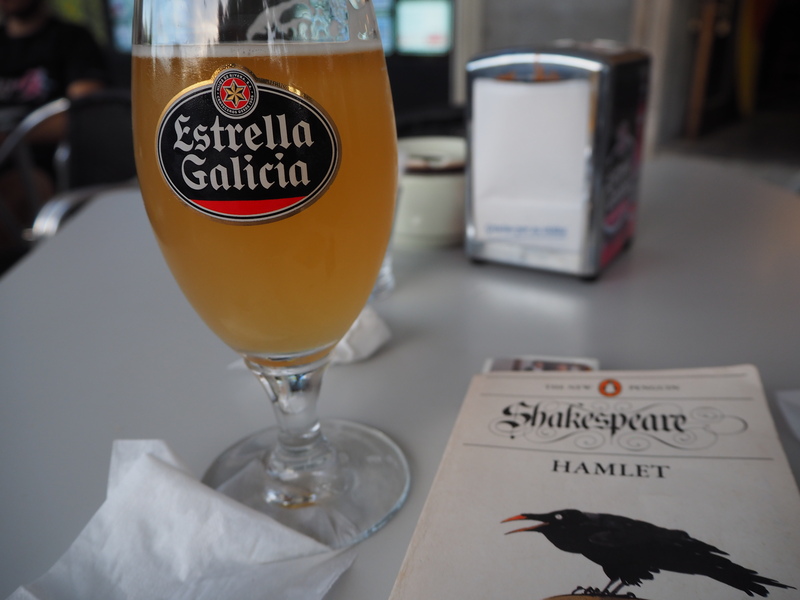 As I sipped my drink, something hit me: I am a Swiss-Indian, in Madrid, drinking Chinese tea, eating French quiche, reading English literature. My trip to Madrid was a very spontaneous decision. Being Swiss, I sometimes shy away from spontaneity, but the torrential rain in London and the availability of a cheap flight convinced me to swop TFL for sunshine. And boy, am I glad I did! The temperature was 36 degrees, and the level of relaxation was unparalleled. When I would normally be crowding into the tube with a million strangers, I was strolling along at about a tenth of the pace. I attempted to take a dance class, but the school was closed for the summer, so I simply went next door and drank a clara instead. But there was one place in particular that I loved on my weekend away: the cute little French café in Chueca, Mama Framboise. 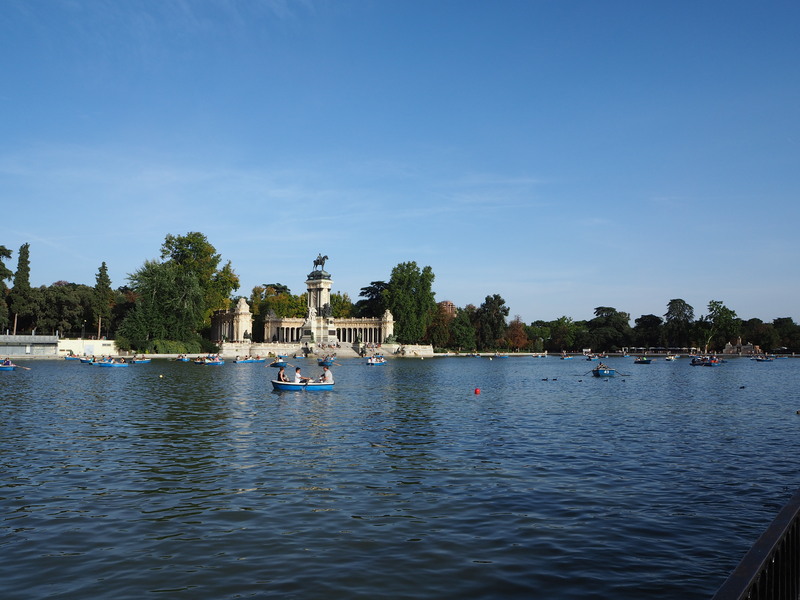 My sister has been living Madrid for a couple of years now, and she had a number of recommendations for bars, cafés, restaurants, and sightseeing. As I’ve visited a few times now, I didn’t feel the need to rush around and go sightseeing, as my main goal was relaxation and rejuvenation with no commitments or responsibilities. Mama Framboise was perfect for this. This light and airy establishment has a variety of lovely cakes and desserts, and it was the perfect escape from the midday heat, as I sank down into one of the plush chairs. The atmosphere was exactly what I needed on a sleepy Sunday morning. 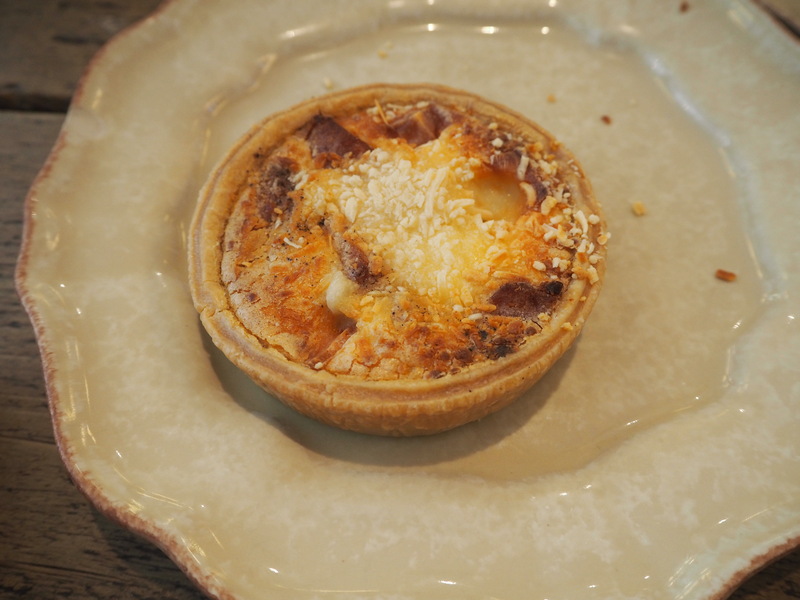 A warm cup of pu-erh tea hit the spot, despite the scorching heat outside, and the sumptuous Quiche Lorraine was just the right amount of food to keep me going until my mid-afternoon ice cream. Although I nearly ordered another, it was so delicious! The clientele was varied, and although people came and went frequently, I didn’t feel rushed at all, and felt I could have stayed all afternoon if I had so wished. I loved the music as well – it was like somebody had chosen a ‘relax/chill’ 8tracks playlist (and maybe they had?). 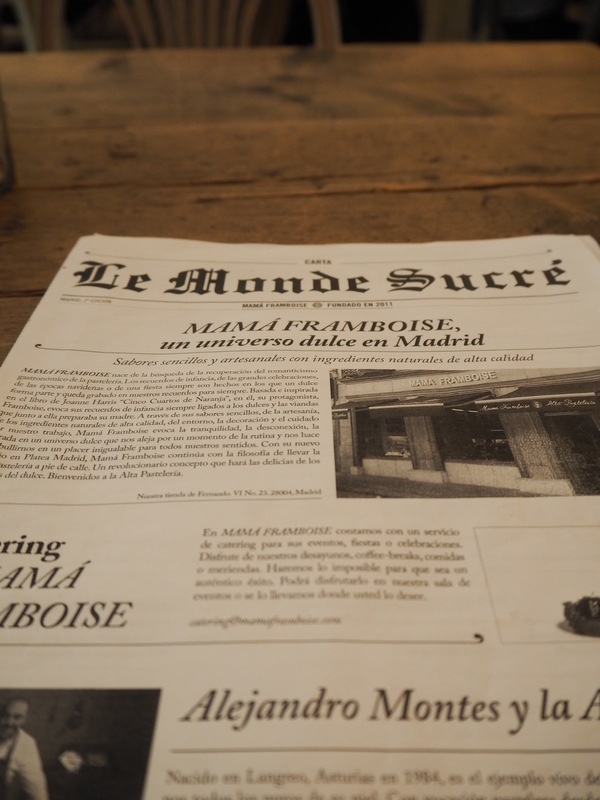 I highly recommend Mama Framboise if you’re strolling around Chueca. 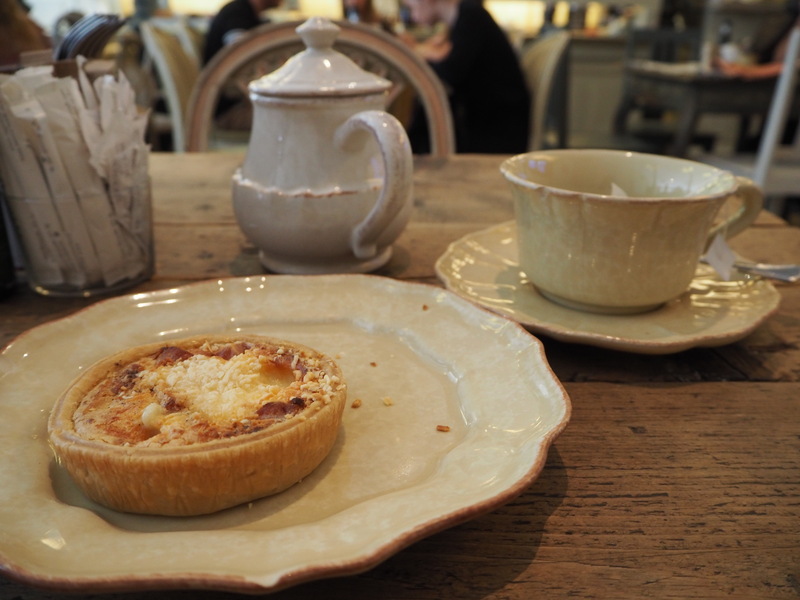 I’ll definitely be back on my next visit to try more of their pastries! ← The Palomar – the best restaurant in London?